It’s amazing how young, ignorant conservatives inadvertently reveal so much about their ideas about the racial hierarchy in the United States. 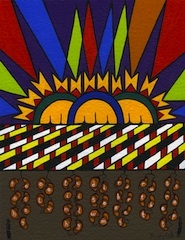 It goes like this: (1) whites, (2) Asians, (3) Latinoa/s, (4) Blacks, and way, way down on the bottom, (5) Indians. 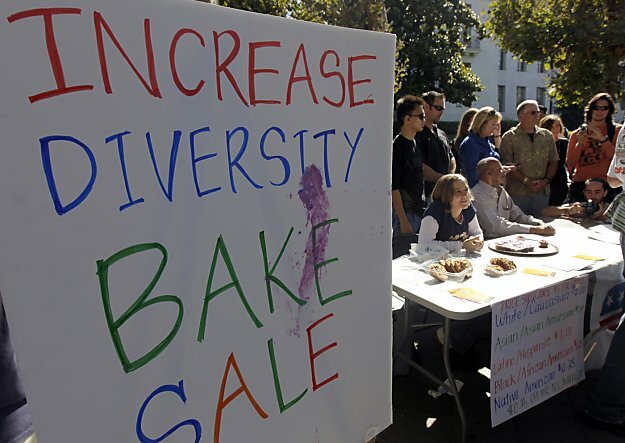 More details and pics from the UC Berkeley College Republicans racist bake sale here. This entry was posted in Author: Matthew L.M. Fletcher, News and tagged racism. Bookmark the permalink. “CAL students Kritz Eliza and Taylor Matzen, dressed as American Indians.” So, Native American: $.25 and $.25 discount for women – apparently, they got free cookies by virtue of wearing a headband and a hot pink headdress. $2 (white side) ÷ 2 = $1 + .25 (Mi’gmaq side) ÷ 2 = $1.12 (or .13) cents. Pretty pricey for a cookie if you ask me. OR maybe I have to pay for both at full price, in which case it would be $2.25. FOR A COOKIE? !